The perfect gift for all ages, Pinocchio as you've never seen him before: telling his own story through the master storyteller and award-winning author of WAR HORSE. "Now - there's no point in pretending here - I was, and still am deep down, a puppet. Everyone knows Pinocchio is a puppet. I reckon I must be just about the most famous puppet the world has ever known. But the truth is I'm not just a puppet, I'm more than just bits of wood and string. I'm me. So I thought it was about time that I, Pinocchio, told you my story..."
So begins this stunningly beautiful interpretation of the classic story. 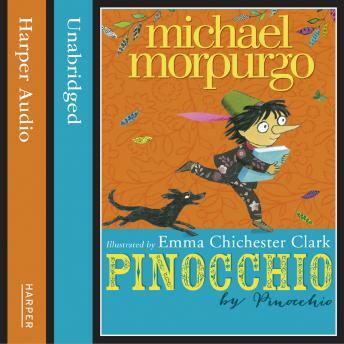 Michael Morpurgo channels Pinocchio's words to tell the famous puppet's story in his own inimitable, cheeky and always funny way.